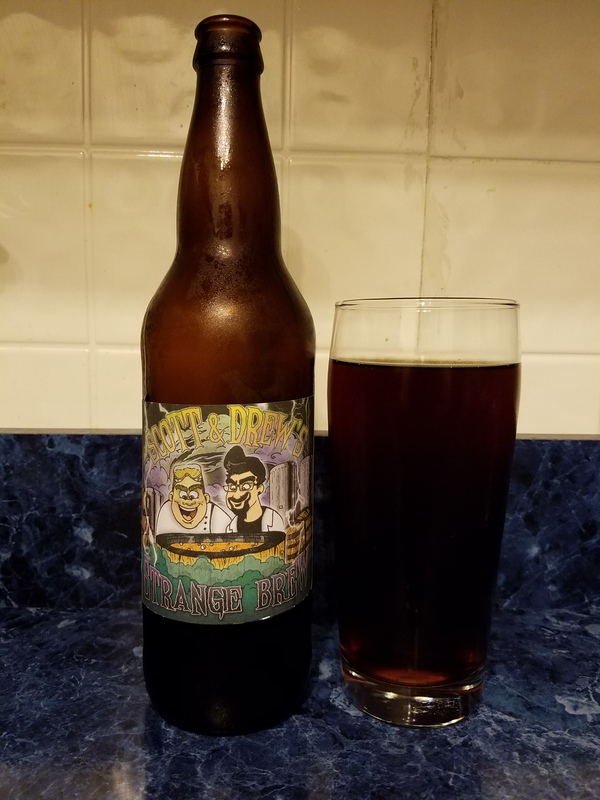 This week on “The Beer List” here at The No Seatbelt Blog, a special beer is being featured, and it goes by several different names. Brewed by my friend and fellow loudmouth from The Only Podcast That Matters, Andrew, and by a beer-loving buddy of ours who goes by the name of Scott, this Belgian quadrupel took the title “Scott and Drew’s Strange Brew.” Concocted lovingly at The Brewer’s Apprentice in Freehold, New Jersey, where amateur brewers, guided by the professional sort can make their own beer and wine, this particular brew is truly the proverbial wolf in sheep’s clothing. 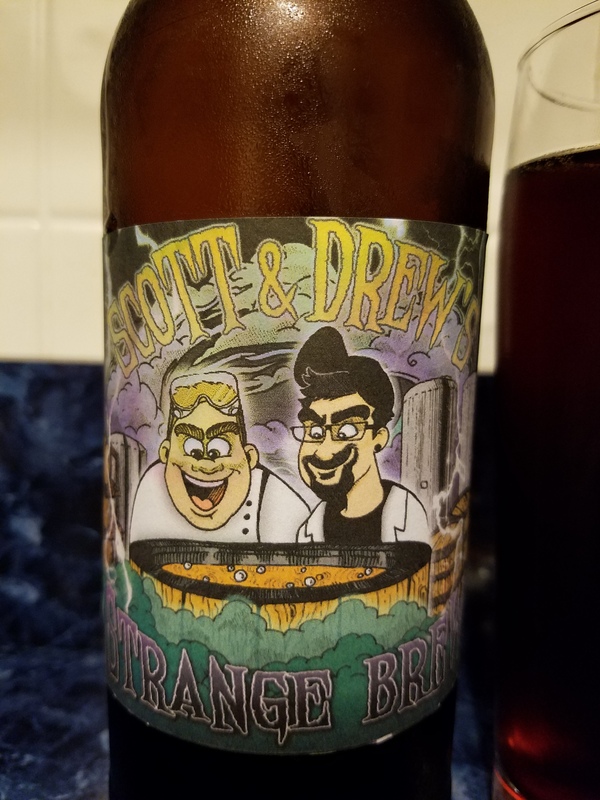 Dubbed “the Jersey Devil” by the brewery, “Scott and Drew’s Strange Brew” is a Belgian strong dark ale, and with the mere title of that style of brewing, you immediately have a decent idea of what you’re getting yourself into. This magical combination of ingredients, including yeast, hops, sugars, malt, and of course, water, packs a punch like you would not believe. The beer pours a dark, opaque brown color, and while there was not much of a tall head, there was a bit of lacing left behind on the inside of the glass. The carbonation level was befuddling to me, as at points it seemed non-existent, and at others, the bubbles masked the general smoothness of the brew. It took me a good couple hours to go through this 22-ounce bottle of goodness, and finishing it without passing out was no small task. Belgian quads are characterized by a considerably high alcohol content. While they can have a boozy quality, they typically lack the heaviness of a porter or stout, and in that, their smoothness is their most devilish aspect. This bottle from which I drank has a story, as far as its alcohol content and very existence are concerned. Andrew reported to me that the yeast died at one point before the brewing process was completed, and that, perhaps luckily, brought the expected alcohol content down from 12-13% to about 10.5%. At another point, the eyes involved averted from the boiling keg, allowing it to boil over, risking the life of the batch. Fortunately, the brew was quickly saved, and this outstanding homebrew was able to see the light of day. Hints of caramel, a sugary sweetness, and a muted, but still present hop profile stay true to the gamut of characteristics that make up the Belgian quad. An accommodating style for the cooler and colder months, its high alcohol-by-volume will warm your insides, and tickle your senses (or dull them, depending on your tolerance). Andrew and Scott went the extra mile and had a label made, employing the services of our friend and graphic artist extraordinaire Natalie Tal. An incredible artist, Natalie nailed their likenesses against a “mad scientist” setting for the label. Natalie created the logo for The No Seatbelt Blog, as well as the graphic for the “…Goes to The Movies” section of my website, with more to come. More of her outstanding work can be found on her Instagram account at @noodlejersey, and on her personal website nataliejane.carbonmade.com. Check out her doodles, sketches and full-color designs. A beer this powerful, from a bottle this large is best shared with a friend, and enjoyed slowly. I’m a big fan of this one, and I knew that I would be, as the Belgian style of brewing is second to none in my book. Cheers!